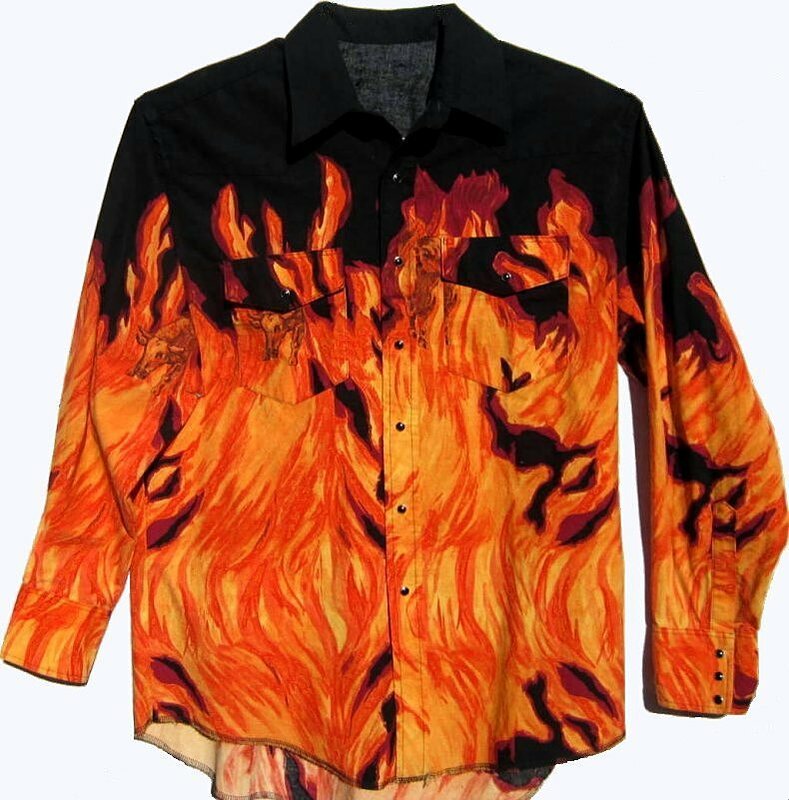 This wonderfully loud shirt has orange and dark yellow flames shooting up from the bottom. It is one of the strangest and most loud shirts I've ever seen. It is 51" around at armpit level for a loose 46 chest fit. The sleeve is approximately 33.75". The length is 32.5". The shoulder is 22". The chest and stomach is a wide cut, not tapered. The vintage shirt is in great gently worn condition. There are no spots. Garments may or may not need to be washed. Shirt can be machine washed inside out. Hang dry to preserve fabric life.